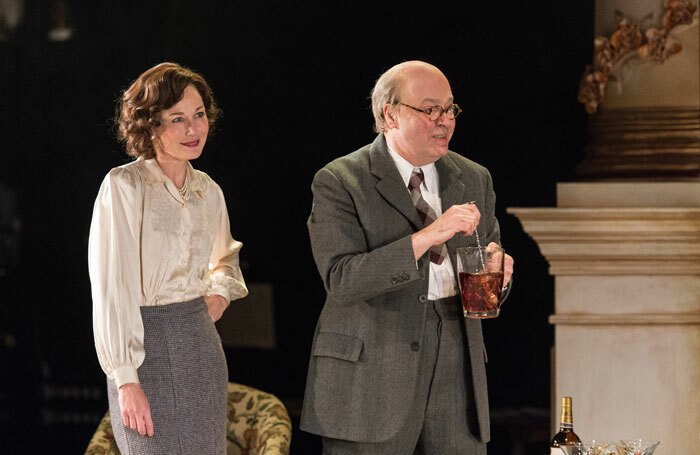 David Hare’s new play about the life of John Christie, the founder of the Glyndebourne Festival Opera, tells an intermittently interesting story but the method of its telling is ponderous, and the whole production is dry as a cucumber sandwich left to sit out for too long. There’s nothing wrong with the performances. Roger Allam is engaging enough as Christie, bringing his usual geniality to the role. Nancy Carroll, as his wife, Audrey – the woman with the ‘small voice’ whom Christie married late in life – invests her character with pathos. The scenes in which she slowly expires from an unspecified malady are tenderly performed. The whole cast do a decent enough job, but there’s little emotional heft to the material, and everyone is obliged to spend a lot of time explaining the nature of their characters and their motivations rather than actually acting them. It’s hard to gauge what drove Christie. The Moderate Soprano may just about have worked as a radio play but it sits uneasily on stage. Jeremy Herrin’s production is very static, with the actors standing at fixed points around the stage and talking at the audience or at one another, rather than engaging in conversation. Some of the things they are given to say are quite interesting. There’s a lot of fascinating stuff about the practicalities of building an opera house and the plight of German artists in the lead up to the Second World War. The play also contains a somewhat oddly placed digression about the politics of opera pricing and accessibility in the arts. But the pace of the piece is so frustratingly stately. It never catches fire. It never sings.